While smartphone games are renowned for their significant monetization methods, Nintendo isn’t looking for its mobile titles to cost customers too much money. According to a new report from The Wall Street Journal, the company wants to limit the number of in-game purchases that are offered as mobile titles to ensure it isn’t perceived as greedy by its consumer base. Further, a Nintendo spokesperson told The Wall Street Journal that the company sees mobile games more like advertising for its consoles than outright moneymaking opportunities. The Japanese gaming giant’s strategy appears to draw in casual players to its franchises through smartphone titles, which, in turn, would potentially lead them to purchase a Nintendo Switch for a meatier gaming experience. For example, Super Mario Run — which launched in December 2016 on iOS and March 2017 on Android — was a pared-down, side-scrolling Mario experience. In October 2017, Nintendo released a traditional, expansive Mario 3D platformer experience in the form of Super Mario Odyssey for the Switch. 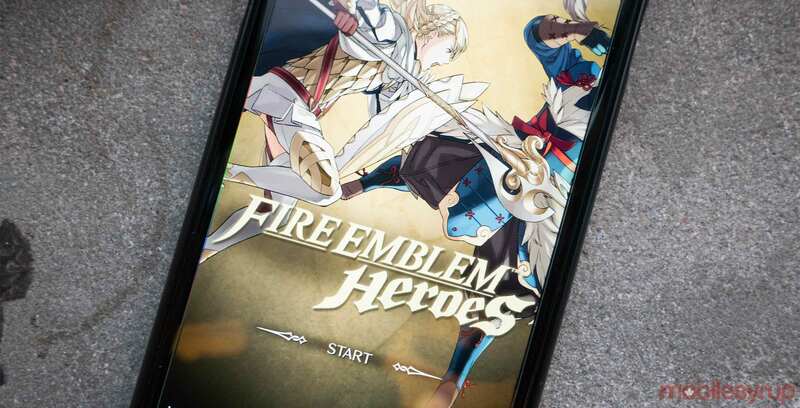 Likewise, Fire Emblem Heroes game has served as a mobile-friendly iteration of the company’s acclaimed strategy-RPG series’ leading up to its next major installment, Fire Emblem: Three Houses, which will launch exclusively on the Switch in July. None of this is to say that mobile games haven’t been profitable for Nintendo, however. While some titles — most notably Super Mario Run — haven’t performed as well as Nintendo would like, the company’s mobile business nonetheless brought in $350 million in revenue in 2018. Fire Emblem Heroes alone generated $400 million in revenue between its February 2017 launch and August 2018. While this business model seems to be working for Nintendo, the same apparently can’t be said for some of its mobile game partners. Since 2015, Nintendo has worked with a number of mobile developers — most notably the Tokyo-based DeNA — on its various smartphone games. As a result, any of Nintendo’s monetization decisions also affect its mobile partners, which have proven to be somewhat controversial so far. CyberAgent, the developer of Nintendo’s most recent mobile game Dragalia Lost, says Nintendo asked the team to change the game’s odds of earning rare characters in response to player complaints. This resulted in unexpectedly low revenue-per-player, leading CyberAgent to cut its earnings forecast for the first time in 17 years. It’s worth noting that Dragalia Lost first launched in September 2018 in the U.S. and Japan only, a narrower worldwide release than what Nintendo did with its other mobile games. The game finally came to Canada and five other international markets on February 26th, so it remains to be seen if in-game revenue will see a notable increase thanks to wider availability. Meanwhile, Nintendo has two confirmed mobile titles for 2019. The first game, the free-to-play racer Mario Kart Tour, was originally slated to release by the end of March but has since been delayed until this summer. The second title, Dr. Mario World, is described as a free-to-play “action-puzzle game” that is also slated to launch this summer. Nintendo has yet to reveal any footage from either game, although both games are set to release on both Android and iOS. Overall, Nintendo says it remains committed to mobile gaming in the long-term, with the company planning to release two to three mobile titles every year.